There’s a lot going on at the renovated Myrtle Beach Airport. With the completion of Harrelson Blvd. and a brand new entrance, getting in and out of the airport has never been simpler. 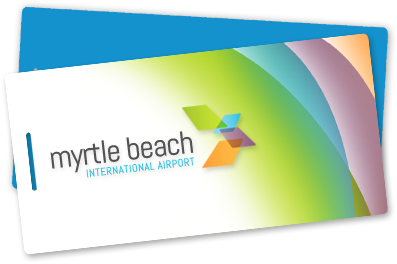 Myrtle Beach International Airport is located on the south end of the city of Myrtle Beach, approximately one mile from the Atlantic Ocean; accessible from U.S. Hwy. 17 Business or Hwy. 17 Bypass. “Harrelson Boulevard is very important for our citizens of Myrtle Beach to be able to get from 17 Business to 17 Bypass, but also it’s going to be easy for people who are staying on the south side to get to the airport,” said Mayor Rhodes. Ultimately, the long term success of the airport depends on travelers realizing the benefits of arriving by air. 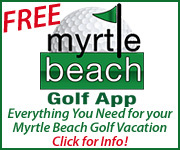 Currently, just 5 percent of Grand Strand visitors arrive through Myrtle Beach International Airport each year. 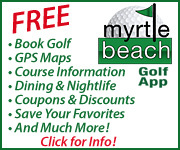 Having just received a major face-lift, FlyMyrtleBeach.com (the official website of MYR) provides real-time flight tracking, up to the minute arrival and departure information, information on airlines serving the Myrtle Beach area including direct flight status, terminal information, tips for first-time travelers and answers regarding airport security, parking, ground transportation and more. A mobile version of the website is available for travelers using smart phones and related portable electronics. On the new website, frequent travelers can sign up to receive e-news updates providing information on airport construction and expansion, and other information to help make their travel experience a convenient and enjoyable one. Tired of dragging your golf clubs to airlines check-in? Wonder if your golf clubs will go to the same place as you? 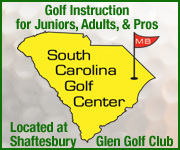 Ship your golf clubs and you will greatly simplify your golf vacation. Shipping your golf clubs to your hotel, your condo or the golf course is becoming more popular, especially with services such as Fed Ex and UPS. 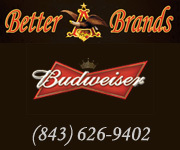 There are also a host of start-up companies that provide club shipping and related services for very affordable prices. For traveler’s convenience, Myrtle Beach International Airport offers long term, short term and economy parking options with more than 1,200 parking spaces. The short-term and long-term parking lots are directly in front of the terminal and the credit card parking is at the south end of the terminal. The Myrtle Beach International Airport is owned by Horry County and operated by the Department of Airports. MYR is currently served by Allegiant Air, Delta Air Lines, Porter Airlines, Spirit, United Express, US Airways and Vision Airlines with non-stop flights to 29 cities. “I believe that the new terminal will open many doors of opportunity that were previously not available to the area. The citizens of Horry County should be proud to have such a state of the art aviation facility,” said Blaine Garren, chairman of the Horry County General Aviation Sub Committee.